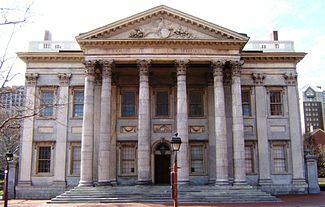 The 1st United States Congress, consisting of the United States Senate and the United States House of Representatives, met from March 4, 1789 to March 4, 1791, during the first two years of George Washington’s presidency, first at Federal Hall in New York City and later at Congress Hall in Philadelphia. 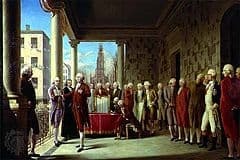 The apportionment of seats in the House of Representatives was based on the provisions of Article I, Section 2, Clause 3 of the United States Constitution. Both chambers had a Pro-Administration majority. 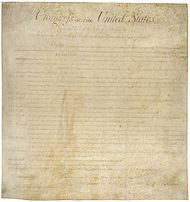 This Congress passed the ten amendments now called the Bill of Rights.